Our first meeting to establish this group will be on Thursday 22nd November at 7.15pm in the committee room at the church. The Group Executive Committee is made up of members of the Group Scout Council who are charity trustees. They exist to support the Leaders in meeting the responsibilities of their appointment. Friday 2nd November sees members of the Scout Group putting on our first ever talent show. Tickets are £2 an adult and free entry for children. Each section will have upto 4 children treading the boards, and each section will have a group item as well. 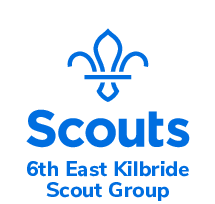 Prior to moving to Ayrshire, Aldo was a member of the 6th EK Cubs – his father was a Scout with the group.